I really want a comprehensive parts list for my 2012 PA14. PAs are a combination of older and newer. Pages 54-58 show common parts then specific to PAs on page 64-66. Every single part? From the bare naked hull to the mesh on the seat? See this image also misses some red lines drawn to the park on the vessel. 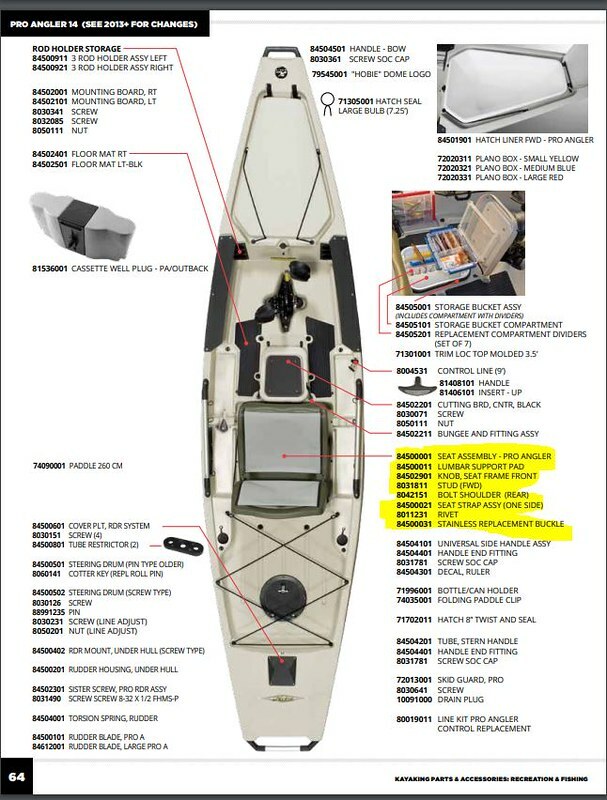 Looks different from the catalog my local Austin Austin Canoe and Kayak has. No one drawing has it all and only the parts we expect would be replaced.